Air filters keep unwanted material from entering and damaging the engine. All filters reduce air flow into the engine, which reduces power, but this loss is necessary for long-term use of the engine. The amount of power lost can be reduced with a performance air filter, by using a filter with more surface area, or (in a less practical way) by adding more openings to more filters (which is basically another way to increase the total surface area). 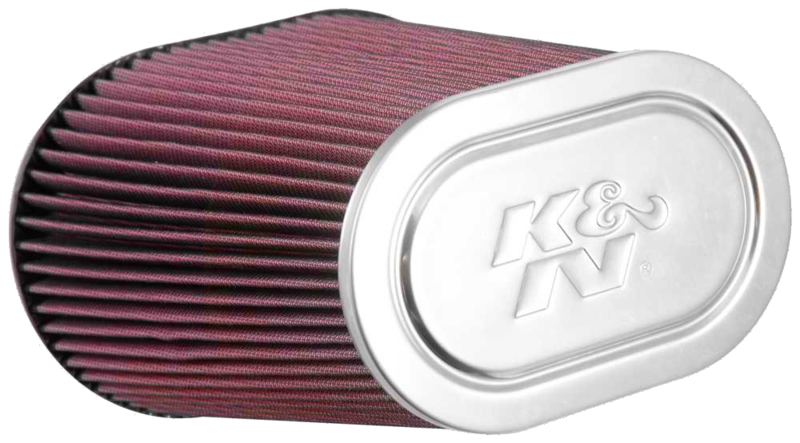 Performance air filters can improve the engine's power output. The amound gained depends on how restrictive the original was, and how little air flow the performance filter restricts. Some racing vehicles run without filters because their engines are cleaned out regularly, or are only run in controlled environments. Some drag cars run without filters because they don't run for a long time.